Whitney is the intimate, definitive account of the superstar’s life and career, authored by renowned Oscar-winning filmmaker Kevin Macdonald. The only film officially supported by the late singer’s estate, it includes previously unreleased recordings, rare never-before-seen footage and live performances recorded by Houston at various stages of her life, as well as original studio recordings and acapellas of some of the late singer’s greatest hits. 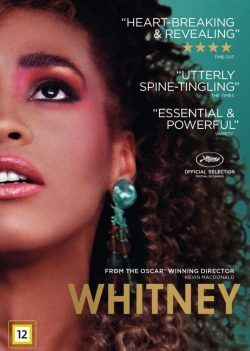 Because the filmmakers had access to vast archives of the Houston estate, the film also contains personal home movie footage that has never been seen publicly before, offering a rare glimpse of Whitney’s life behind-the-scenes as known only to her closest relatives, friends and collaborators.